Group JBJ95 held their first Asian fan meeting. The agency Star road Entertainment announced "JBJ95 will meet Taiwanese, Korean and Japanese fans with the first Asia Fan Meeting Tour - AWAKE starting from July 26, ask you to pay a lot of attention." Through the Asia fan meeting, JBJ95 will communicate with local fans and make special memories, and they will have showcase colorful stages full of various events and fun to watch and listen to. Especially, JBJ95's second mini album, "AWAKE," released on March 26, is proving interest at home and abroad, as it ranks first in the Japanese iTunes K-pop album category and 15th overall. 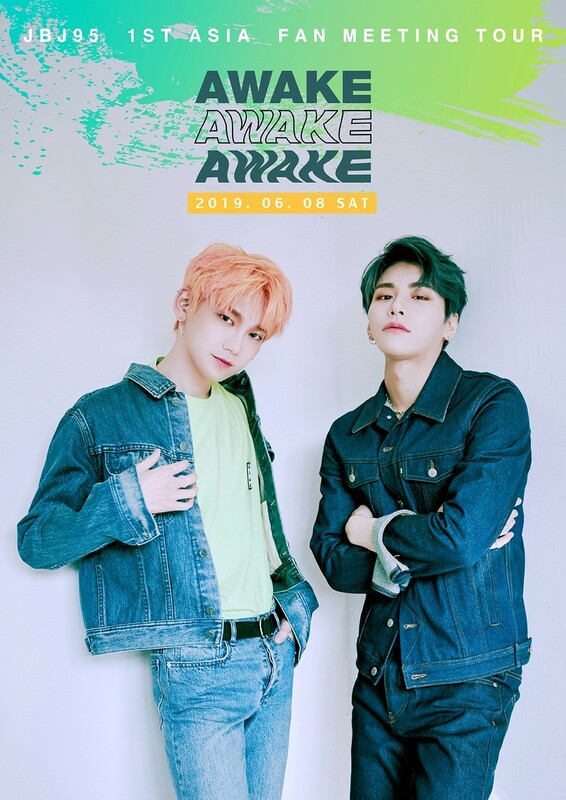 JBJ95, active as "AWAKE," will continue its fan meeting tour in Taiwan on April 26 and South Korea on June 8, Osaka, Japan on June 30 and Tokyo on July 2.